1. Drillings for the general exploration and investigation of solid mineral deposit, engineering geotectonic survey and concrete structure inspection holes. 2. Diamond drill bit, alloy drill bit and steel roller drill bit and so on are available for drilling according to different geological structures. 3. When the final holes are respectively 75mm and 46mm in diameter, the rated hole depths are separately 100m and 180m. The maximum of depth may not exceed 110% of that drilled in each hole. The maximum allowable hole diameter is 150 mm. 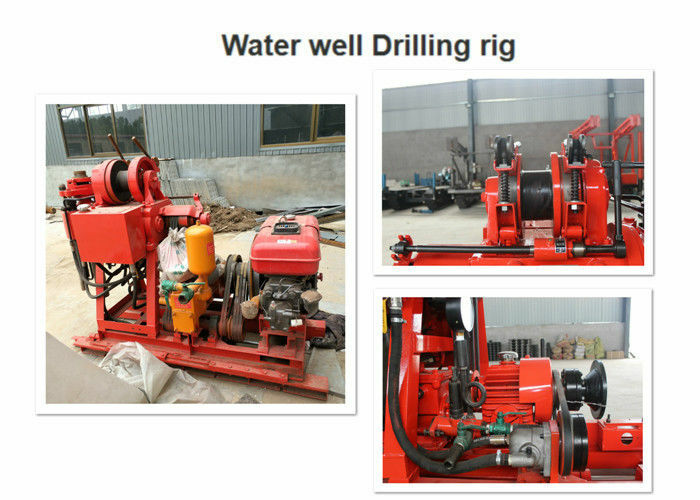 4 the drilling rig is suitable for water well drilling, prospecting, geophysical exploration, roads and buildings and other exploration and blast hole drilling projects. 5 It can be chosen according to different alloy drill bit and PDC drill bits and so on. 6 It can drill 2-9 grade sandy clay and rock etc. 1. 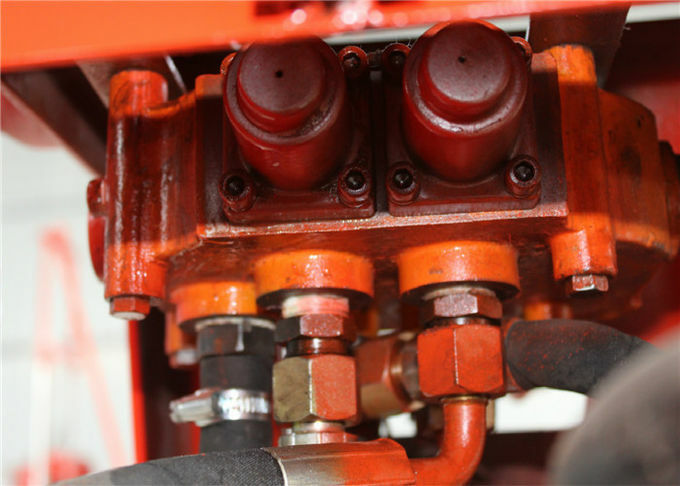 With hydraulic feeding device, elevated drilling efficiency, reduced labor strength. 2. The rig is equipped with an upper spherical jaw holding mechanism and hexagonal drive drilling rod which can be replaced without shutdown, high efficiency, safe and reliable. 3. A hole bottom pressure gauge is mounted indicating the pressure in order to control the status inside the hole. 4. Compact structure, small volume, lightweight, high detachability, easy transportation and suitable for the operations in plains or mountain areas.